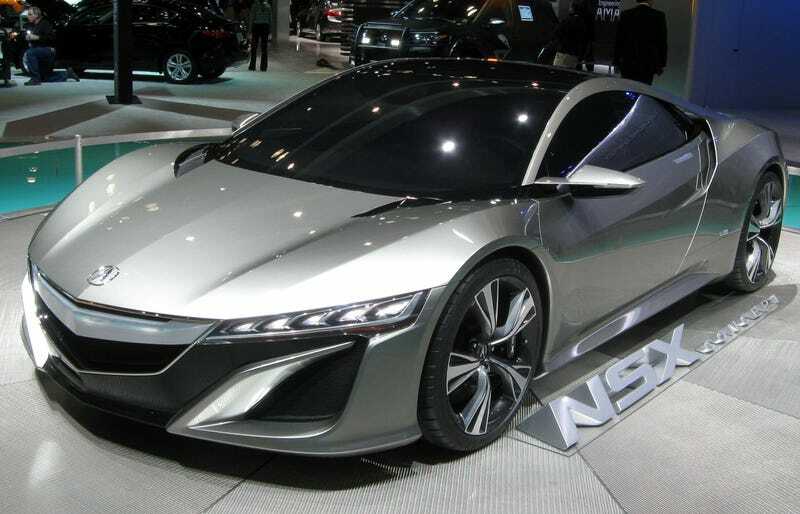 Thought Of The Day: What If The Acura NSX Turns Out To Be Great? We all know about Honda's long-overdue supercar- the NSX. Most of us are already bored of it, since we've been teased with it for nearly five years. We already know it will be a 500+ horsepower hybrid supercar with AWD. What we don't know is how it will perform. Here's my thought: what if it turns out to be a world-beater? Here's my reasoning. The Nissan GT-R.
What is it? A Japanese 500+ horsepower AWD supercar. What's the NSX? A Japanese 500+ horsepower AWD supercar. Both have V6 engines approximately the same size. It will most certainly be lighter than the overweight Nissan. Sure, the GT-R has billions of computers governing its performance, but we don't know exactly what the NSX will be equipped with. I have faith that the NSX, when it does finally get released, will be better than anyone else though it would be. Now we play the waiting game.